Creative Cloud subscribers can use Lighroom for Apple TV to see their photos on the biggest screen in the house. Adobe’s Photoshop Lightroom has widespread appeal to a broad constituency of photographers for viewing, management, editing, and sharing their images. Today, the company is augmenting its Lightroom brand with a new app for the fourth-generation Apple TV. 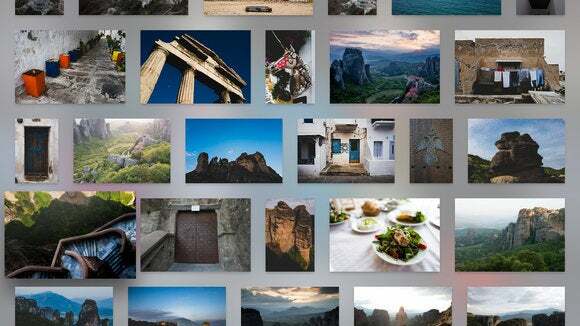 Lightroom for Apple TV is designed for large-screen viewing of photos in your home or studio. All of the photos that you’ve synchronized with Lightroom mobile or uploaded via Lightroom on the web are available for viewing in this app and you can present them individually, in a slideshow, or zoomed to 200 percent for fine detail. Lightroom is one of the few Creative Cloud apps that does not require a paid subscription. While Lightroom is part of the Creative Cloud Photography plan, which costs $10 per month, as well as the all-inclusive Creative Cloud plan for $50 per month, the app is also available as a perpetual license. Its iOS version is free and can function independently from any subscription or desktop app. However, for the Apple TV app, a Creative Cloud subscription of any flavor is required. Lightroom for Apple TV doesn’t support Siri search to let you find photos by voice. Instead, you navigate your collection using the remote. The All Photos view lets you see each image with all the latest edits. 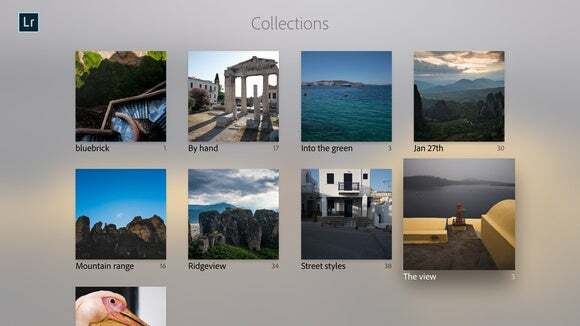 The Collections view is Adobe’s version of photo albums. The Filmstrip view lets you peruse your collections to find the photo you want. And you can zoom in to 200 percent to see luscious details on your largest screen. Why this matters: Apple’s Photos app has an Apple TV counterpart, so it makes sense for Adobe to offer a dedicated app for Lightroom too. The app lets anyone from families to pro photographers easily view slideshows or see synced collections of their latest edits, and adds extra value to Creative Cloud. Lightroom for Apple TV is available today from the Apple TV App Store.